Canberra's most respected White Goods Repairer with a modern fleet of service vans, a fully equipped workshop and a comprehensive spare parts department. In 1967 Mayner & Cochran opened our doors as the primary repairer of Hoover products in the ACT. Since then we have expanded our business to repair most major brand names in Australia. 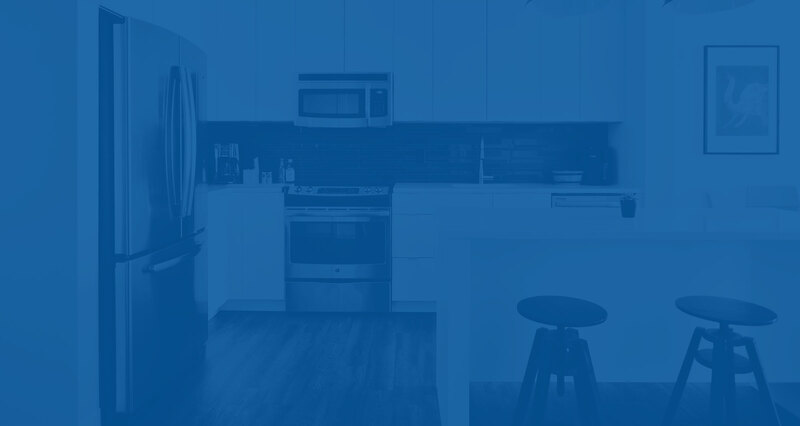 Over 40 years of experience has given Mayner & Cochran a level of knowledge and expertise that is unmatched in the Appliance Repair industry in the Canberra Region. Our office is located in Townsville Street Fyshwick and is open from 8am to 5pm Monday to Friday for any inquiries you might have. We professionally service and repair Washing Machines, Dryers, Dishwashers, Refrigerators, Freezers, Ovens, Stoves and Cooktops for most major manufactures including Electrolux, Hoover, Simpson, Kelvinator, Westinghouse, Dishlex, AEG, Chef, Whirlpool, Maytag, Samsung, LG, Omega and Smeg. Mayner & Cochran employ three specialist technicians dedicated to fridge repair. In case it is determined your fridge cannot be repaired in your home, we also have the capability to collect your fridge, fix it in our workshop and then return it once the repair has been carried out. Our fully trained technicians are able to carry out most washing machine repairs in your home. They carry a broad range of spare parts in their service vans, meaning in most cases we will have the right part to get your appliance up and running again. If it is determined your washing machine requires removal to the workshop to be repaired, we can collect the machine and return it once the repair is completed. Mayner and Cochran service technicians carry a broad range of spare parts in their vans to get your dryer up and running in the home. If it is not able to be fixed in the home, then we can collect your dryer and then return it to you once the repair has been completed. Our service technicians are able to repair most dishwashers in the home with little fuss. Our fleet of service vans contain a range of spare parts to help get your dishwasher running as soon as possible. If your dishwasher needs workshop attention, we are able to collect your appliance and then return it once the repair has been carried out. Our service technicians are able to repair most cooktops in the home with little fuss. Our fleet of service vans contain a range of spare parts to help get your cooktop up and running as soon as possible. If your cooktop needs workshop attention, we are able to collect your appliance and then return it once the repair has been carried out. Our service technicians are able to repair most ovens in the home with little fuss. Our fleet of service vans contain a large range of spare parts to help get your oven running as soon as possible. If your oven needs workshop attention, we are able to collect your appliance and then return it once the repair has been carried out. Mayner & Cochran has a comprehensive Spare Parts Department with over 5000 lines of stock kept in our Canberra Warehouse. We keep most medium to fast moving parts for the brands we service including the Electrolux, Westinghouse, Simpson, Kelvinator, Hoover, Chef, Dishlex, AEG, Whirlpool, Maytag, LG, Fisher & Paykel, Omega and Smeg range of products. Any part not kept in stock can be sourced direct from the Manufacturer with a minimum of fuss. We order daily from all of our Manufactures with an average lead-time of 2 days. Once we receive your part it is shipped or you are contacted to arrange pick up the same day meaning the down time for your appliance is kept to a minimum. So if you require a part to for your appliance, contact the professional team at Mayner & Cochran for prompt, friendly service. We professionally service and repair Washing Machines, Dryers, Dishwashers, Refrigerators, Freezers, Ovens, Stoves and Cooktops for most major manufactures including Electrolux, Hoover, Simpson, Kelvinator, Westinghouse, Dishlex, AEG, Whirlpool, Maytag, Samsung, Omega, Smeg and LG.